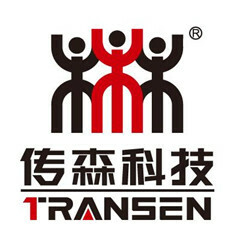 Video Display - Dalian Transen Technology Co.,Ltd. Welcome to Watline Systems Pvt. Ltd, Manufacturer & Wholesaler of Waste Water Management, Heat Process & Heat Recovery Systems. The company was incorporated in the year 1996 at Faridabad. Our customer centric approach, abili to under take turnkey project & wide distribution network helped us to gain present repute in the market. Excellent pre delivery tests, Wide range of products, Total customer satisfaction & Cost effective prices make us the first choice of our clients. Our product list includes Steam Boilers, Garment Finishing Equipments, Industrial Water & Waste Water Systems. Steam Boiler, Hot Water & Steam Generators are fabricated form premium grade raw materials. We offer premium grade Industrial Water & Waste Water Systems. Along with that we offer Garment Finishing Equipments that are a class apart. Hydro Pneumatic & Pressure Boasting Systems are some of our best selling products. We undertake turnkey projects for IBR Steam Piping, Under Ground Oil Storage Tanks & Distribution Systems. Jenny Wang Whatsapp Skype:jenny505583845 QQ Email: EPS making machine Raw material: Expendable Polystyrene and Zinc Stearate asl.Main features: 1.Finished products: foam cups and bowls 2.. Production capacity: from 150,000/day to 1080,000/day 3..Main machines: boiler, mixer, pre-foaming machine, drying machine, shake boult, center filling device, forming machine 4.. PLC control 5.. high speed7-15s/cycle Process: Mixing —pre-expanded—drying—filtering—storage— forming—–collecting Advantage: 1. EPS Making Machine is used to produce large quantities of hot coffee cup, hot tea cup, hot soup blow, noodle tub and other food and beverage packing . 2. Light weight, good rigidity and well heat isolation. 3. The machine holds many merits such as high foaming times, high producing efficiency, low steam consumption, low cost and different model products made at same time. 4. Pipes and tubes of the transferring system are all made from stainless material so that they resist eroding and easy to be cleaned. 5. Pre-expand and forming procedures are all operated by automatic controller, the mechanical and electrical device or apparatuses are all from famous brand. Service: 1.After sales service: we will dispatch professional technicians to customer factory for machine installation and training. 2. Our salesman will be 24 hours online for you to solve problems. 3. We have introduced South Korea and Taiwan technology with more than 20 years experience. Our machine quality is the best. Bitumen sprayers are known as equipment used for uniformly spraying bitumen on the road prior to the laying of the hot mix asphalt. The road is first cleaned and then the truck having the bitumen pressure distributor moves slowly allowing the spray bar to uniformly spread the bitumen on the road. Tar sprayers by Atlas are available in capacities 4 tons, 6 toons, 8 tons, 10 tons and 12 tons. What makes the Atlas bitumen distributor special is the quality and performance that the machine delivers each time. The storage tank of bitumen is thermally insulated from all the sides that prevents heat loss. Burner supplied is a simple to use and efficient burner capable of heating the tank fast. Bitumen pump and air compressor is engine driven. Engine is a good 25 HP unit. Opening and closing of the nozzles is very easy thanks to the pneumatic system which is located very easily from the operators chair. Spray bar width is 2.4 meters and 4.35 meters with spraying width of 4.5 meters. Optional longer spray bar with 6 meters spraying with can also be made available. Easy cleaning system using air and diesel. Full product details click here: This is a sturdy machine built to last and perform. The Paseo launches with one available floor plan, the new 48P. This layout puts the dinette in the back on a raised platform that gives the cross-cabin Flex Bed optimal space and creates below-floor storage. In addition to transforming into a 53 x 72-in (135 x 183-cm) double bed, the dinette area includes an extra-long, passenger-side bench that can serve as a single bed, no need to move the table or adjust any cushions. There are also four seat belts for passengers. The Paseo cabin and water are heated by a Truma Combi Eco Plus heating system and the cabin cooled by the standard roof-mounted air conditioner. The standard electrical package includes dual AGM batteries, a 2,800-watt Cummins Onan gas generator, 45 A converter/charger and an energy management system. A 100 W solar charging system is available optionally. The 21-gal (79.5-L) fresh water tank and supply lines are mounted inside the heated area of the cabin for winter use, and 11/15-gal (41.6/56.8-L) black/gray holding tanks take care of used water.